In addition to being a great blogging tool, WordPress is also an effective Content Management System (CMS) that can be used to run a business web site. Many small- and medium-sized businesses use WordPress for their sites because it is affordable, easy to install, and can be customized to fit specific needs. Most web hosting companies offer a one-click installation of WordPress. If you don’t already have a web host and are unsure where to start, findmyhosting.com offers a list of competitive choices that you can compare. Once your site is hosted, you can get started with basic WordPress and add useful plug-ins. However, not all WordPress plug-ins are created equal. Here is a list of five plug-ins you should install in order to build an effective business web site. Shareaholic.com says that if you download only one plug-in out of the ten they recommend, you should “make it the All-in-One SEO Pack.” This plug-in allows you to easily add meta descriptions, meta titles, keywords, Google Analytics support, and Search Engine Optimization (SEO) integration for e-commerce to your site. SEO is crucial to the success of your online business, which makes this plug-in a very important one to download and use. 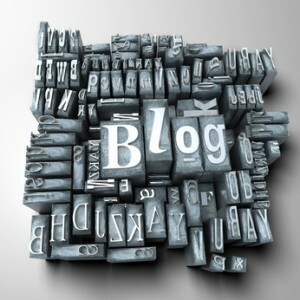 If you blog regularly on your business site, make sure to install the Akismet plug-in. Recommended by both Shareaholic.com and Businessonline360.com, this plug-in is similar to an e-mail spam filter. It will save you a lot of time and effort weeding out all of the junk comments you receive on a daily basis. Akismet also lets you review comments so you can decide whether to accept or reject them. Traffic spikes are a good thing for your business, but they can also slow your web site down. W3 Total Cache is a plug-in that prevents traffic spikes and other things from bringing your web site to a crawl. It improves the downloading speed of your web site, and can save you from losing potentially valuable customers because of slow loading times. Many WordPress users don’t realize that you can integrate a professional-looking e-commerce store into any WordPress site. To get your online storefront up and running, simply download the WP E-Commerce plug-in and enter your products or services. This plug-in integrates with leading payment processors including PayPal and Authorize.net, and allows for easy customization of your online store. Smedio.com reported that this plug-in has been downloaded over 170,000 times by WordPress fans. If you’re using Magento for your eCommerce needs you may want to take a look at magento membership extensions. The amount of people who access web sites through mobile devices is increasing rapidly, so if people are unable to access your web site from their phone you could be missing out on a lot of business. WP Touch is a great plug-in because it automatically converts your web site into a mobile web site, allowing mobile users to access content and purchase items. There are also several other useful WordPress plug-ins worth mentioning, including Contact Form 7, Easy PayPal, Google XML Sitemaps, Automatic WordPress Backup, and Scribe SEO. WordPress allows you to explore all their plug-ins on your own, so you can download them and see which ones you prefer.